On the banks of the River Itchen, where it turns from the quiet Hampshire meadows to the bustle of Southampton Water, stands the Southern Television Centre. In November, 1957, it was a cinema. Six months later it was ready to open as Britain’s most up-to-date T.V. studios. Studio A covers 3,000 sq. ft. Its lighting gantry holds 62 different circuits. The smaller studio B is used for discussions or magazine programmes, while studio C is exclusively for newscasts. Where the dress circle used to be is the film department, with its editing machines, developing plant and viewing theatre. New equipment is being added all the time, to keep pace with technical developments and enable Southern Television to go on giving southern people the very best in television entertainment. The Film Library, where approximately 6,000 T.V. commercials are held. 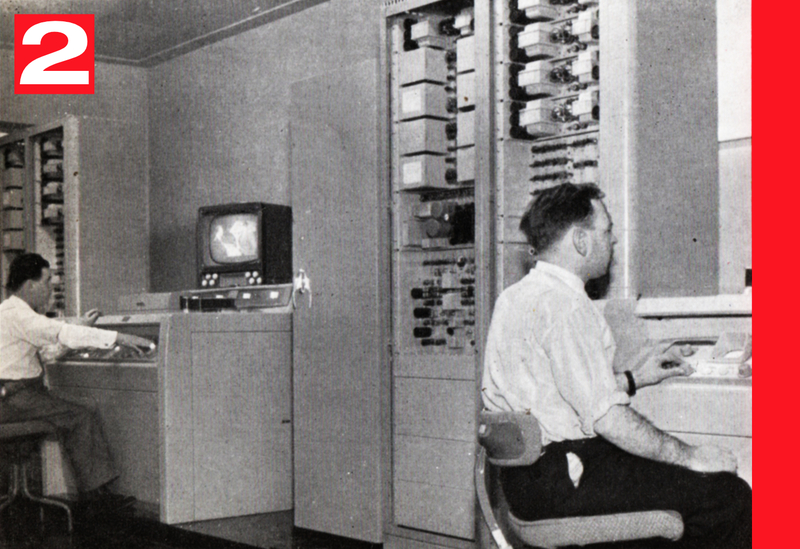 The Ampex Videotape sound and vision recording equipment. 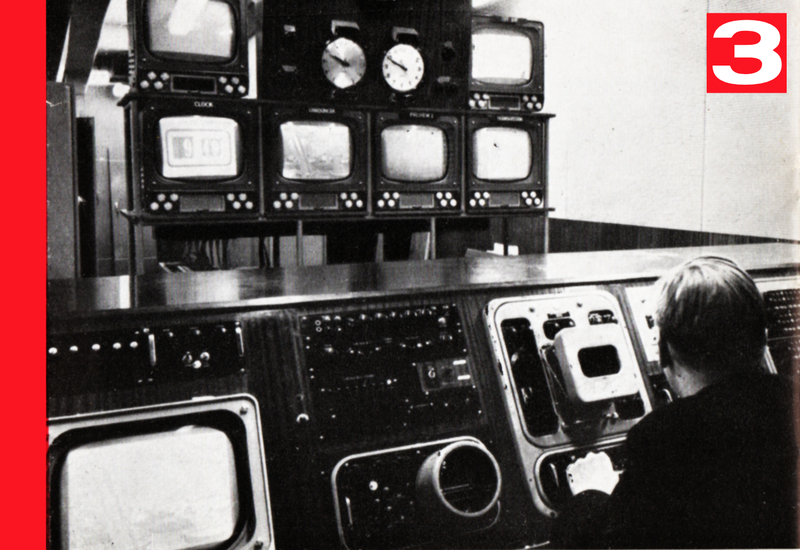 The Master Control Room, with the transmission controller at work. 1 The Film Library, where approximately 6,000 T.V. commercials are held. 2 The Ampex Videotape sound and vision recording equipment. 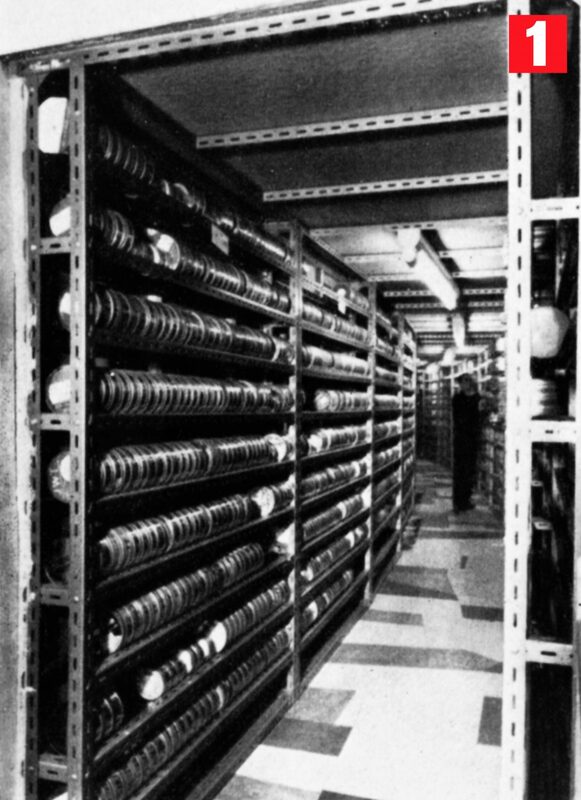 3 The Master Control Room, with the transmission controller at work.